The bachelor of science (B.S.) in fashion and textile technology program begins with overview core courses. Students select one or more concentrations—including design technologies, apparel design, product development, and merchandising—and are exposed to the technical processes used in apparel/textile design and production. General skills include analytical, interpersonal, creative thinking, visual communication, technological, and organizational. Entry-level skills taught include trend research, design, technical specifications and costing, digital visual presentation methods, product testings, production, merchandising, and distribution methods for finished products. Technological skills learned include apparel/textile aesthetic and technical product design, manufacturing and costing and merchandising.  All Buffalo State students round out their academic careers through the college's Intellectual Foundations program. Fashion and textile technology majors may spend a year studying their specialty at the Fashion Institute of Technology (FIT) in New York City in a "three-one" program, earning a B.S. from Buffalo State and an associate’s degree from FIT. North Carolina State University and other institutions have exchange programs. Study abroad opportunities are available in several countries. Students participate in regional and national competitions and have achieved top honors in Computer Integrated Textile Design Association (CITDA) and Surtex competitions. Students participate in clubs, including the American Association of Textile Chemists and Colorist (student chapter) and Phi Upsilon Omicron (national honor society). Students also participate in the annual Runway fashion show.